Home » Nespresso Machines: Which Machine is the Right One for You? Nespresso Machines: Which Machine is the Right One for You? Before single-serve coffee makers existed, I fell in love with cappuccinos as a college student. I was barely making it through another all-night study session when my friend handed me this milky, caffeinated cup of deliciousness that rocked my world. Back then, we had to walk a mile to the café to pick up a cappuccino since it wasn’t offered on campus. Nespresso machines have changes all that, haven’t they? When you look at this picture, do you know which one to buy? I’m guessing since you’re reading this article, the answer is no. Spoiler alert: If you continue reading, I can help you decide. 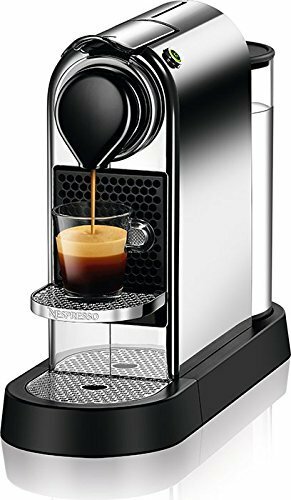 I’ll give you a brief snapshot of the most five popular Nespresso machines, and let you know what the online coffee community, which I like to call the coffee brigade, says about the machine. For each model, I’ll include a price range since the total cost will depend on how you bundle your package, and other important information to help you make up your mind. At the end, I’ll give you a cheat sheet so you can compare Nespresso models at a glance; that is if you’re still undecided. Nespresso is a leading manufacturer of single-serve espresso machines today. 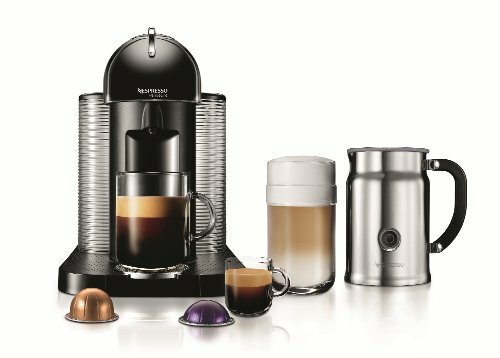 Owned by Nestle, Nespresso machines offer the capability to go beyond a standard cup of coffee by offering a large variety of coffee capsules that are sure to please every palate. 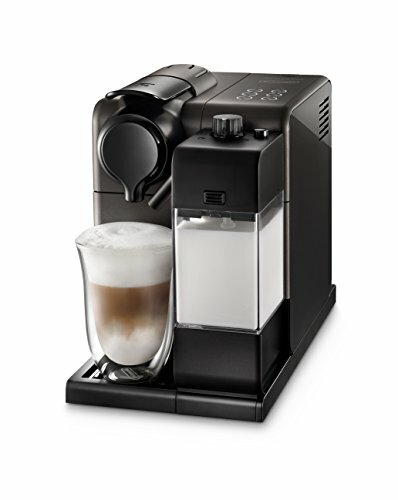 Nespresso also offers an electric milk frother called the Aeroccino that enables users to make lattes, cappuccinos, and other milk-based coffee beverages easily. While some models come with this frother built-in, you can add the Aeroccino if your machine doesn’t by bundling your package when you purchase the machine. 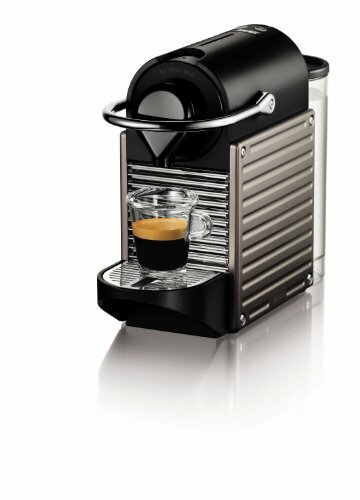 CitiZ is one of the most popular Nespresso machines because it is compact, easy-to-use, and simple to clean. It comes in three different models, with one solely being an espresso maker, another with an integrated Aeroccino milk frother, and a third that comes with a detached milk frother that operates independently. Online reviewers love how easy the CitiZ is to use and clean. For an espresso, you place a pod into the machine and press start. When your espresso is ready, a green light comes on. No really, it’s that easy. To clean the machine, you simply make sure there is enough water in the reservoir to run it once more and discard the water afterward. You are a casual coffee drinker. This machine is great for those that want an easy way to make their daily espresso but would like the option to enjoy the occasional latte or cappuccino, or at least have the option to offer those beverages to guests. 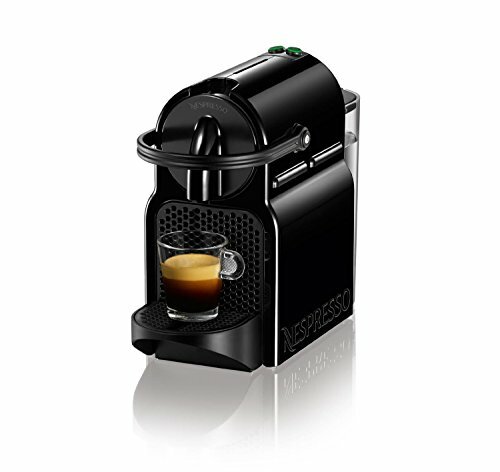 The Inissia is the most basic Nespresso model available. It’s so basic that it doesn’t even have an on/off button, just two for either espresso or lungo that you can push to “wake up” the machine. My online caffeinated comrades love the fact that this small but mighty machine takes up minimal counter space and delivers a flavorful espresso. One reviewer raved about the fact that he no longer has to wait for the machine to heat up, which is the case for larger models. Some would like to see more options available, but when you purchase the Inissia with the Aeroccino pictured above, you can create more customized beverages. You lack counter space but need your daily espresso fix. If you want more variety, check out other models like the CitiZ or the next one I’ll highlight, the VertuoLine. The Inissia is perfect for those wanting an affordable automatic but still great espresso machine that is easy to store, use, and maintain. The VertuoLine is one of the more popular Nespresso models because it is a combination of a coffee maker and an espresso machine in one. If you take it a step further and bundle it with Aeroccino, it’s like having your own café right in your kitchen. The VertuoLine uses two different capsule sizes: a larger pod for coffee or a smaller one for espresso. If you purchase this machine, take note that it only uses VertuoLine capsules; the Nespresso Original line of capsules will not work in the model. While most reviewers love the fact that the VertuoLine offers both coffee and espresso, and many encourage others to buy the milk frother to get the entire Nespresso experience. As for taste, a lot of people praise the VertuoLine for its flavorful brews with many claiming Keurig pales in comparison. You are a serious coffee drinker that equally loves your coffee as much as your espresso. This machine is for people that like a little variety in their caffeinated life, and are likely to host other who share their love of all-things-coffee. The Pixie lives up to its name by being one of the smallest espresso machines manufactured by Nespresso. It may be small, but it packs a punch featuring a 19-bar pump to make flavorful espressos. It has a smaller reservoir (only 24 oz.) but features a water level indicator light to alert users when the water is low. It also has a power cord storage, so when it’s not in use, you can unplug it and keep the cord hidden from view. If you need even more convincing, why not check out my Nespresso Pixie full review! Several reviewers raved about the espressos with many marveling how a small machine can produce such a robust flavor experience. While most of the online reviews were positive, there were some negative comments about the small water reservoir with some expressing the dislike for constantly needing to refill it. You enjoy a flavorful espresso, have limited counter space, or need to easily store it when company comes over. The Lattissima Touch features six easy-to-use buttons, descaling and cleaning alerts, as well as a “one-touch” system for coffee and milk recipes. This machine is for serious coffee enthusiasts and comes with a built-in milk dispenser allowing you to adjust the milk froth texture by turning a dial. The 12-oz. milk container easily removes for storage in the refrigerator when not in use. My online coffee community loves the fact that it’s easy to clean and the convenience of a built-in milk dispenser. Many people commented that the machine is worth the price since the can be their own barista at home rather than spend money on coffee elsewhere. One reviewer advised owners to always clean the milk frothing system after each time you use it which can be cumbersome, although the one-button self-cleaning option helps ease that burden by taking care of the rest of the machine. Many people loved the lattes and cappuccinos and praised the machine for creating the right balance of flavor and froth. You love coffee and can afford it. I just added this to my Amazon Wish List and sent it to my husband so hopefully, I’ll have a very happy birthday! As promised, here is the cheat sheet for you to compare the different models. Good luck! Previous Post: « Nespresso Inissia Review: A Nespresso for Anyone?